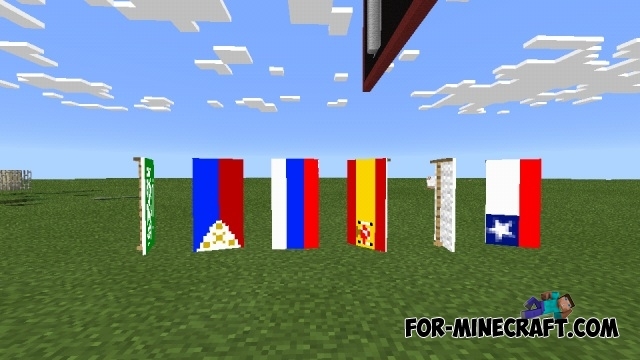 Great mod will allow you to place various flags anywhere. You can choose from a set of flags and decorate your home, or any other some construction. It is possible to turn the flag on 360 degrees. Rate this mod by downloading from our website!